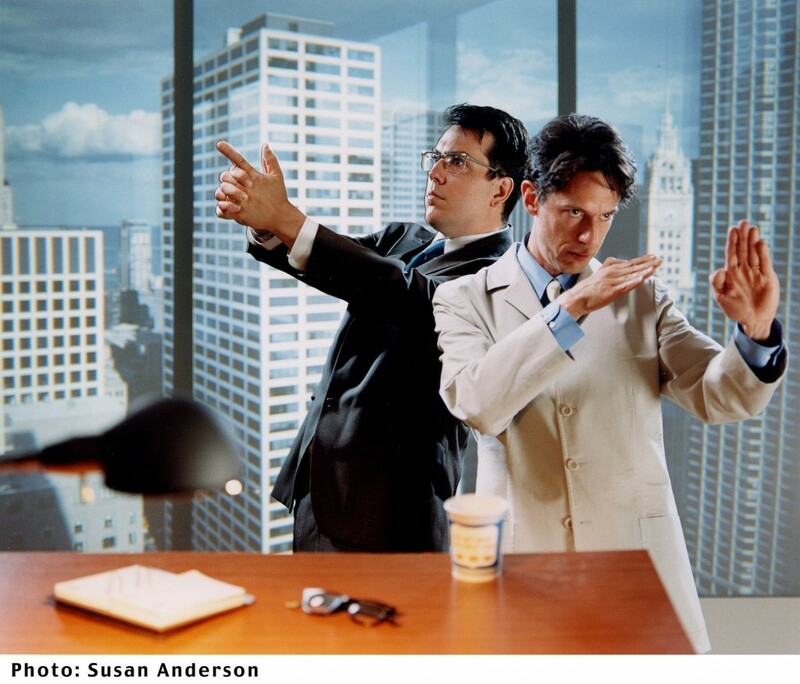 Ever tried explaining They Might Be Giants to anyone not in the know? I have, and strongly advise that you shouldn’t bother. Just give people links to a few tracks and let them work it out for themselves. I’m guessing all those packed into Manchester Academy 2 on Monday night got this wondrous band though, and this was something of a celebration for our returning, conquering heroes. 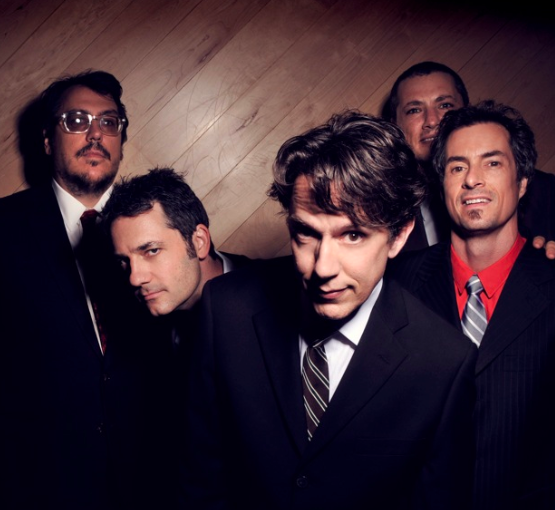 These days TMBG involve Brooklyn-based founding Johns – Flansburgh (guitar, vocals) and Linnell (keyboards, vocals, all sorts) – plus Marty Beller (drums), Dan Miller (guitar, keys) and Danny Weinkauf (bass, keys). Yet this might well have been our last UK sighting for at least a while, with a live break after their current UK and following US tours imminent. The key word should still be celebration rather than disappointment though, not least for those of us who have seen this long-established, inventive, alternative outfit in person. It turns out that there was no get-out clause at Manchester’s Academy 2 anyway, with Flansy pointing out that they had a lot of material to get through, the doors were locked, and there would be ‘no refunds’. Extreme housekeeping notices, I think you’d call those. They started as they meant to go on, a stratospheric The Statue Got Me High one of many ‘near-hits’ here, leading to a similarly-airborne Can’t Keep Johnny Down, the two Johns – whose banter all night was special, the in-between songs sections as entertaining as the tunes themselves – revealing by way of a further introduction that they played the same venue 24 years ago to the day, Flansy explaining how he felt it was an impossibly-large place to fill back then (while admitting to maybe putting on ‘7lb’ since). 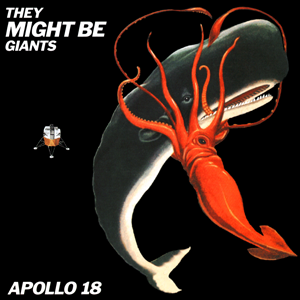 There were no gaps that I could spot on the night, but while much has changed in the intervening years, it’s fair to say TMBG remain vital, as shown on a brooding Musical Jail Pts. 1 & 2 from 2015’s Glean before they wound back to Don’t Let’s Start, the mid-‘80s single that first snared me, courtesy of a little late night Radio 1 airplay. They remain innovative too, having launched an ambitious 52-track week-by-week Dial-a-Song project in 2015, with a neat example of that aired in I Love You For Psychological Reasons. Meanwhile, Flansy apologised for the band ‘staring at their hands’ a lot while they were concentrating on the newer songs, some of which this punter probably missed out in this review, my usual method of a few scribbled lines every few songs catching me out. But I had no reason to forget or misplace memory of Apollo 18 cut Turn Around, dedicated to all the short people struggling to see past the 6ft-plus fans, leading to a huge cheer from the woman behind me, the likes of this blogger accused from the stage of taking the band’s name too literally. Taking my earlier point about explanations, I’ll not try and categorise here, but how could I anyway when songs like Authenticity Trip remind me in equal doses of both The Scissor Sisters and The The? There was certainly a wide range of eras covered here too, across the albums, the band heading back 30 years, for example, for Nothing’s Gonna Change My Clothes, then returning for the chirpy We Live In A Dump, recent wonder Answer (if ever a song deserved chart success, it was this fine ditty) and hi-energy disco stomp Man, It’s So Loud in Here. For all their time in the business, the two Johns reckon they’re still regularly asked by family if there’s a Plan B, and accordingly revealed details of their new cover band if the moment should come, Destiny’s Child’s Child, giving us a taster with Bills, Bills, Bills – Linnell as Beyonce, Flansy as Kelly Rowland, the other three taking the role of the third member. Visualise all that? We also had the super-catchy Older – with John L interrupted by a phonecall from ‘The Ghost of Manchester Academy Past’ mid-song – and a mightily-quirky Trouble Awful Devil Evil, the afore-mentioned songsmith taking to bass clarinet for a stirring Cloisonne while Flansy stepped up to the main mic. In fact, this was very much an interchangeable feast all evening, everyone bar the industrious sticksman Marty swapping roles from time to time, and to great effect. Further near-hit Meet James Ensor proved a big crowd-pleaser and led to quirky country humdinger Number Three, the band then quickly upping gears for The Famous Polka. They also delved into 1988’s Lincoln for Where Your Eyes Don’t Go and treated us to Careful What You Pack, which we’re led to believe was turned down for a film for being ’too beautiful’. In these worrying times of Trump and co, we had a lesson from US history in James K. Polk, before indulging Flansy for a flighty Let Me Tell You About My Operation. As you probably know, in recent years TMBG have built a reputation for ‘kid’s albums’ too (and the day before had played to a young audience in Glasgow) and we were treated to the awesome Alphabet of Nations before Flood’s rock-n-roller Twisting and fave rave Dr Worm (’I’m not a real doctor, but I am a real worm’) saw us out for the first time. Three encores followed, starting with a thumping cover of Jonathan Richman’s I Was Dancing in the Lesbian Bar and the ever-sublime Particle Man, John L delightfully segueing into Dolly Parton’s Here You Come Again en route. Then came a jig-crazy Damn Good Times, the band complaining it was too cold backstage as they swiftly returned for debut album perennial She’s an Angel (anyone who can get the word nonchalant into a song is alright by me) and an equally-loveable Robot Parade, proffering a glimpse into a future where Faith No More seem to have gone electronic. Despite Mr Linnell protesting (and pretending) that they had run out of songs, they still managed to come up with those 1990 pop exclamation marks, Birdhouse in Your Soul and Istanbul, the latter’s extended instrumental finale just the perfect climax. Incidentally, at one stage we were requested to share photographs of ourselves via social media to let everyone know how disappointed we were by the night’s entertainment. You may even have spotted a few examples. At the risk of going back on my word and trying to explain the TMBG experience, I guess that’s the kind of band we’re dealing with here. Given free rein I might have chosen half a dozen other great songs on the night, but I’m sure a few of them will be aired elsewhere on this tour. Besides, something had to give and people had last trains and buses to contemplate. Similarly, I’ve probably missed a few songs in this review, and maybe got a couple out of order. I tried to keep up, but was clearly having too much fun. I’m not sure it really matters anyway. Thanks for sharing something special though, fellas. It’s been surreal … but somehow real. For the recent writewyattuk feature/interview with John Flansburgh, head here. And for further tour dates, ticket details and all the latest news from the band, head to their Facebook and Twitter pages or the official TMBG website. This entry was posted in Books Films, TV & Radio, Comedy & Theatre, Music and tagged Apollo 18, Birdhouse in Your Soul, Brooklyn, Dan Miller, Danny Weinkauf, Destiny's Child, Dial-a-Song, Don't Let's Start, Flood, Glean, John Flansburgh, John Linnell, Johnathan Richman, Lincoln, Manchester, Manchester Academy, Marty Beller, New York, They Might Be Giants. Bookmark the permalink. I think you’re right, Andrew! I was looking at previous nights, trying to work out what I’d missed. Cheers for that. Of course, what I should do now is edit both your comment and my review, to my advantage. Ah well.